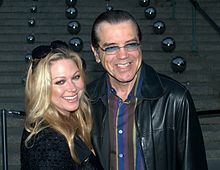 ^ Chazz Palminteri bio. Chazzpalminteri.net. Retrieved on 2013-11-19. ^ "Cheri, Based on Colette's Classic Novella, Begins Performances Off-Broadway". Broadway.com. November 19, 2013.